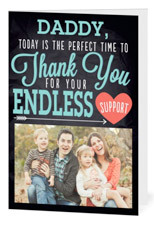 FREE Father's Day Photo Card! New Treat members can score a FREE Photo Father’s Day Card shipped free from Treat Greetings with promo code: TREATDAD! You will receive a FREE Photo Card + FREE Shipping! One free card per person, New members only. Offer now good through 5/31.